Ti Sento have presented us with this exquisite and very elegant silver crystal ring. 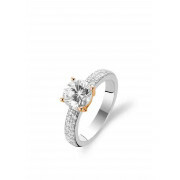 The ring is a stunning silver with a large silver crystal set on a beautiful rose gold base. 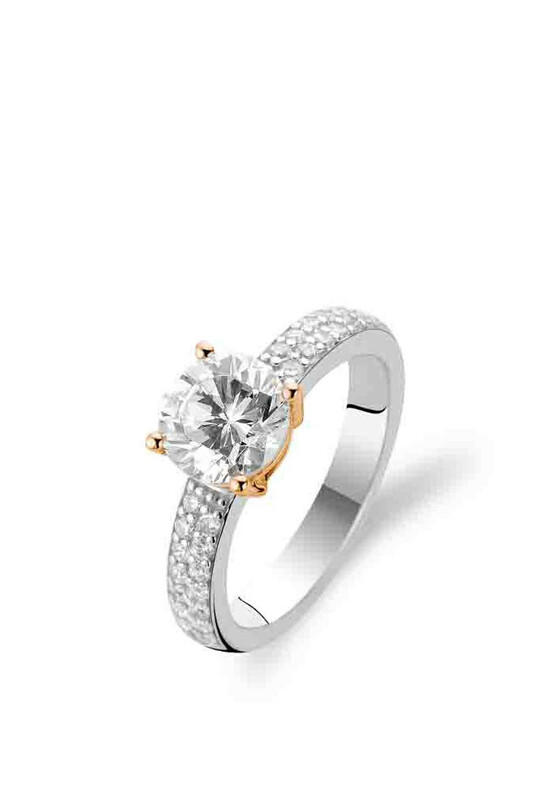 The slight touch of rose gold makes this piece stand out and with the band of the ring encrusted with small silver crystals this ring will shine and glitter under any light.